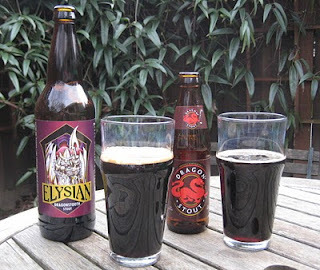 @jfwells: Yeah, I could have been clearer that the Red Stripe/Dragon brewer Desnoes and Geddes also brews Guinness under license. And D&G is mostly owned by mega-corp Diageo. Though that's no sin: their portfolio also includes several of the best Scotch whiskies. And that damn Protestant whiskey, Bushmills. On your recommendation, I picked up a bottle of Dragonstooth at the Freds yesterday. Looking forward to it.